WICHITA, Kan. (AP) — More than 3,700 Kansas voters cast ballots for two 17-year-old candidates in Tuesday’s election for the GOP nomination for Kansas governor — a race that is still undecided because the vote was too close to declare a winner. Tyler Ruzich, of Prairie Village, and Joseph Tutera Jr., of Overland Park, received a combined 3,758 votes after running under a quirky Kansas law that set no minimum age to run for the office. The primary ended with Secretary of State Kris Kobach leading Gov. Jeff Colyer by 191 votes. Ruzich received 2,217 votes and Tutera garnered 1,541 votes. No one knows if the teenagers’ votes would have gone to Kobach, Colyer or someone else if the teenagers weren’t on the ballot, said Robert Beatty, political science professor at Washburn University. But he said the Republican Party took the teenagers seriously enough to not allow them to participate in candidate debates, The Wichita Eagle reported. “They understood that they could steal some votes, and that’s exactly what happened,” Beatty said. Tutera said Wednesday he has no regrets about running. He said he and Ruzich were astonished by how many votes they received. 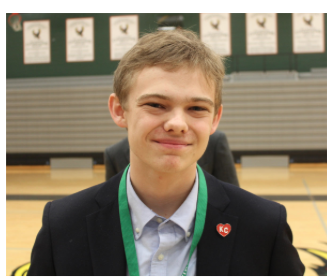 On the Democratic ballot, 17-year-old candidate Jack Bergeson got 3,850 votes but it didn’t impact that primary because state Sen. Laura Kelly, D-Topeka, easily won the Democratic nomination. Previously, Kansas and Vermont were the only states with no age requirement to run for governor. After the teenagers’ campaigns drew national attention, the Kansas Legislature passed a law in May that set a minimum age to run for governor at 25, and 18 to run for any other state office. But that wasn’t in time to stop the current batch of political upstarts from being on the ballot.